Owning your own home has long been the Australian dream but after years of strong house price growth it’s becoming less of a reality for many. This has major implications for retirement planning. The major factor behind the shifting approach to home ownership is the prohibitive price of property, particularly in Sydney and Melbourne. As a result, today’s younger generations may be close to 40 before they take their first step on the property ladder. It’s sometimes argued that renting can be just as wise as owning. Advocates say you can invest the money you save through not paying rates, meeting the costs of maintenance or interest on loans. But this strategy can prove a problem in retirement. Owning your own home is often viewed as the fourth pillar of our retirement support system, with the other three being superannuation, savings and the aged pension. In the past, it was assumed that most people will own their own home outright and be mortgage free by the time they retire. Accordingly, the burden of paying rent or loan repayments is not taken into consideration in assessing the cost of living in retirement. More significantly, the number of people aged 55-64 with an outstanding mortgage debt had jumped 29 per cent from the level in 1995-96 to 44.5 per cent in 2013-14.i It’s safe to assume that many people in this age group will still be in debt once they reach retirement. Some of this increase in mortgage debt can be put down to the rising cost of housing. An additional factor is the increasing divorce rate which means people can find themselves in the uncomfortable position of starting anew in the housing market later in life. If you choose the rental path, you could struggle in retirement as rent can take up an increasing amount of your available income. In the past, well over half of renting retirees were in public housing, but that figure has dropped to less than 40 per cent due to reduced availability of public housing.i This has implications for retirement incomes. Today, tenants aged 65 or over renting from private landlords spend 35 per cent of their income on housing costs.i Anything more than 30 per cent is regarded as being in ‘housing stress’. 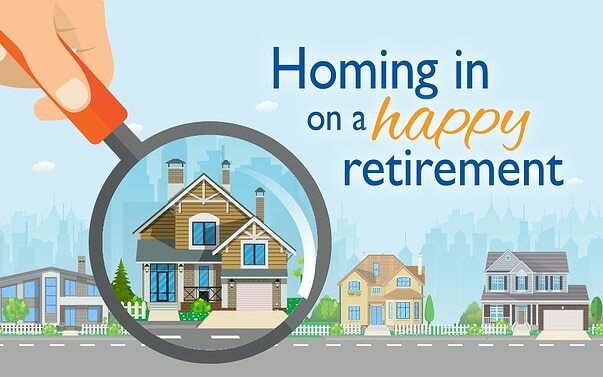 One of the advantages of owning your own home outright in retirement is that you can always draw on the capital if necessary either by way of a reverse mortgage or taking out a loan using your home as collateral. Another plus is that you have an asset to pass on to the next generation. Although for many baby boomers, passing on wealth is no longer a key focus. In fact, many prefer to use some of their savings to help their children get a foothold in the housing market. For those who have the funds, this can be a good strategy. However, you do need to be mindful of leaving yourself short in retirement by passing on too much of your money too early. And if you are already retired and receiving an aged pension, then you will be limited to gifting your children no more than $30,000 over a rolling five-year period. Housing affordability is becoming an issue for Australians at both ends of the age spectrum. That’s why it’s a good idea to have a talk with us to discuss your retirement housing and income needs.